San Diego, which is known for its craft brewing industry, is scheduled Tuesday to become the first U.S. travel destination with an "official beer." SAN DIEGO (NEWS 8/CNS) - San Diego, which is known for its craft brewing industry, became the first U.S. travel destination with an "official beer" on Tuesday. 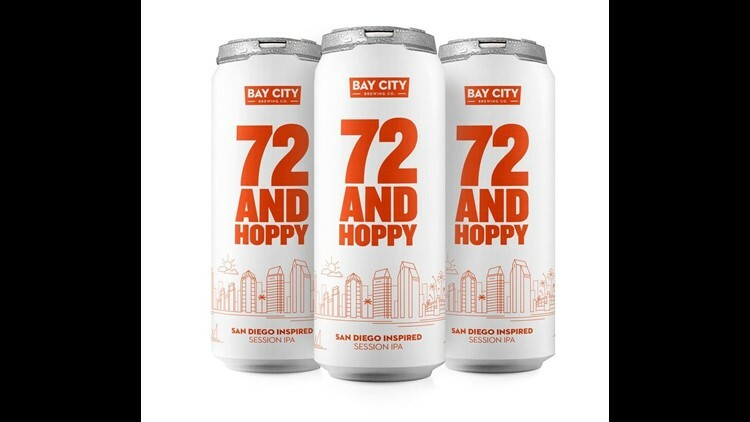 The Bay City Brewing Co. and San Diego Tourism Authority launched "72 and Hoppy." They describe the session IPA as relaxed and refreshing, but vibrant and full of flavor. According to the SDTA, it captures the spirit of San Diego in a pint glass and will be available at local bars, restaurants, hotels and attractions. Bay City Brewing has operated its facility in the Midway District for more than two years now. Photo courtesy of Bay City Brewing Co.